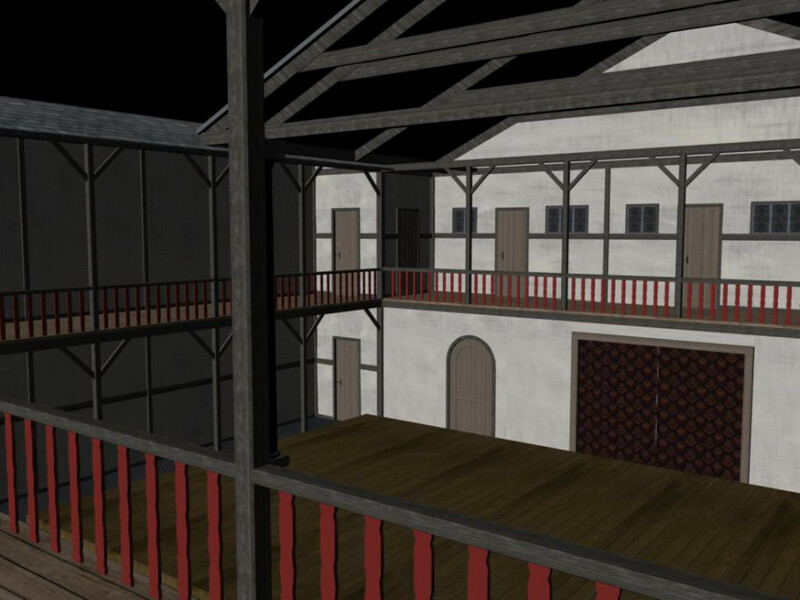 Ortelia was commissioned to recreate the Boar’s Head Playhouse. 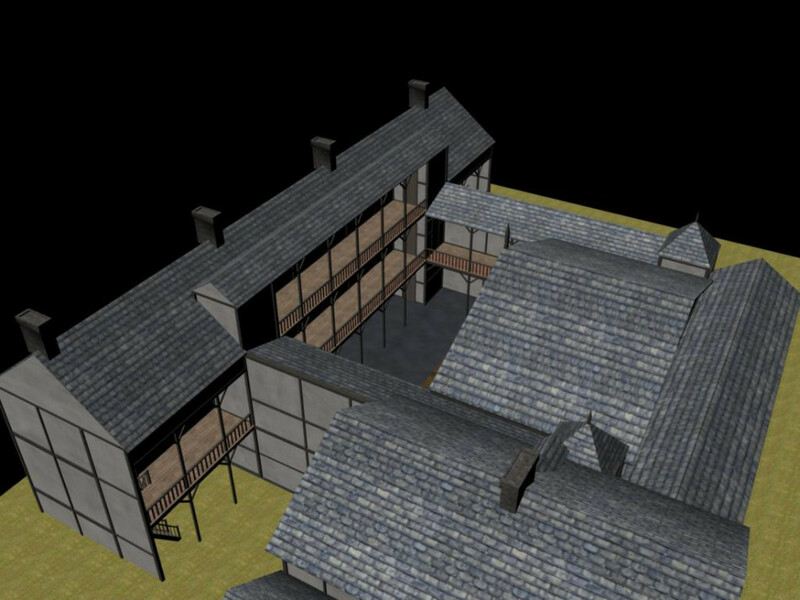 This model of the Boar’s Head depicts the theatre as it could have been in 1599 in London, the same year that the Globe Theatre was built. 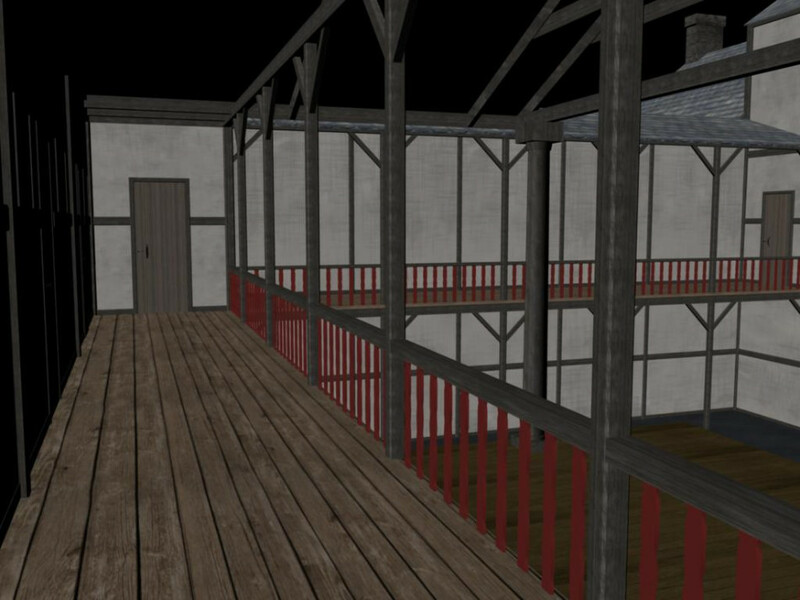 This playhouse was not polygonal, but rather rectangular and built in the courtyard between several buildings. 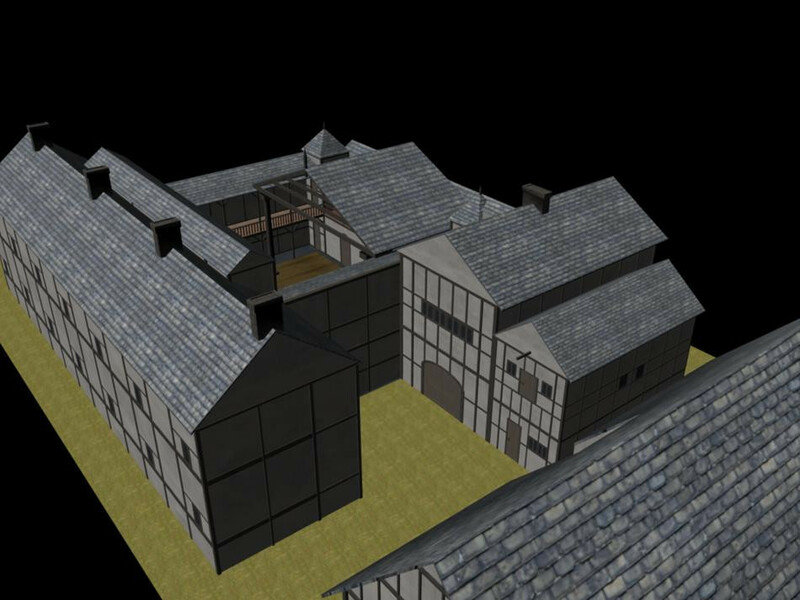 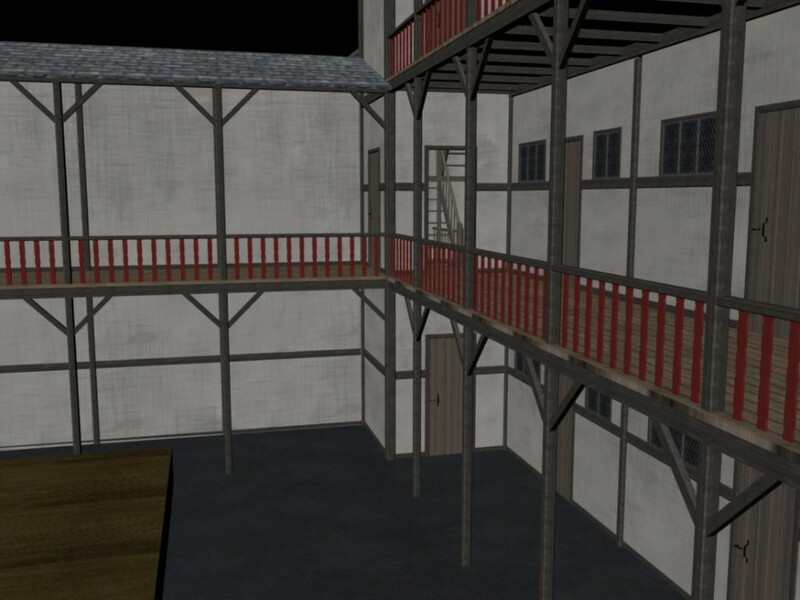 This model is created from the sketches provided in Herbert Berry’s book, The Boar’s Head Playhouse (Washington: Folger, 1986), and from information of the day about the buildings that framed the courtyard. 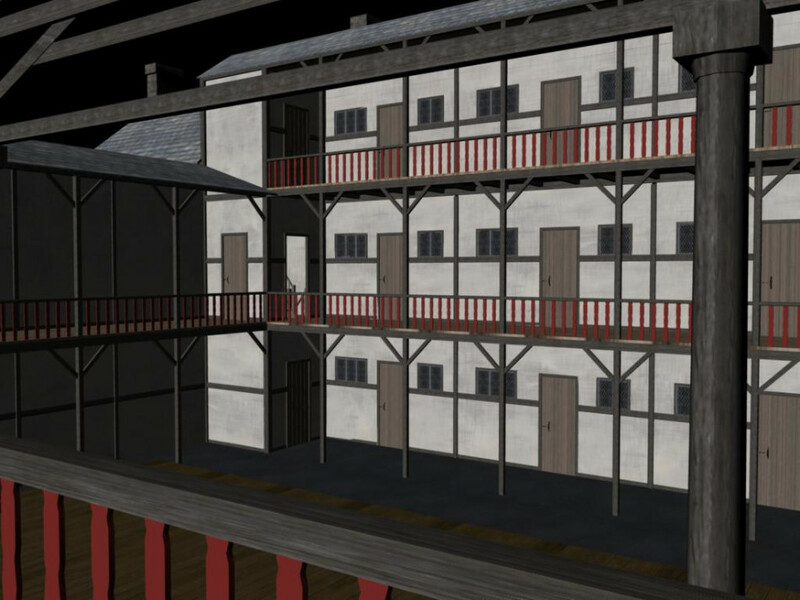 It was designed for Professor Richard Fotheringham (University of Queensland) who researches the relationship between actors and audience in early modern theatre. 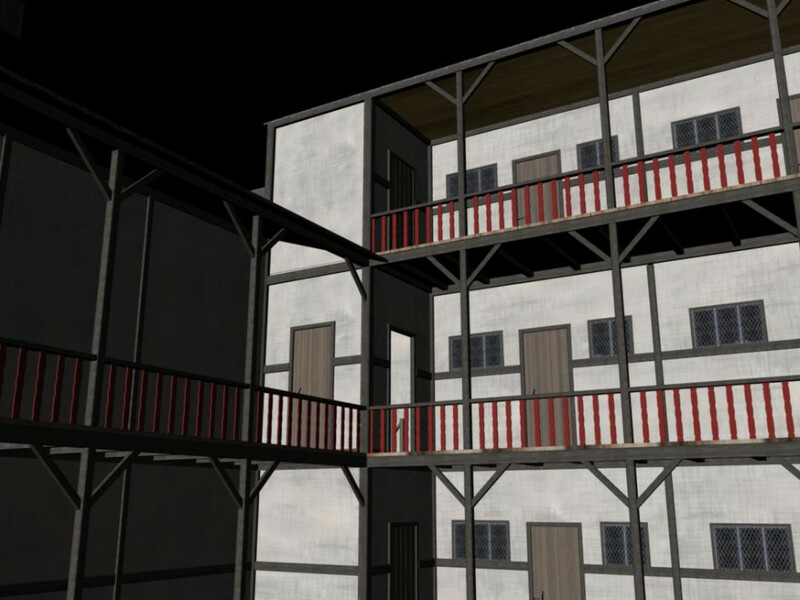 He used this model to establish the likely height of the stage, and to ascertain what the sightlines would have been for groundlings and those patrons standing at various points in the balconies.